The augmented reality cloud and multi-user experiences are shaping up to be one of the hotter areas of augmented reality, and now Google is the latest entity to back these emerging branches of AR. GV (formerly known as Google Ventures), the investment arm of Google parent company Alphabet, is the lead investor in a $14.5 million Series A round for AR cloud startup Blue Vision. The startup used the announcement as an opportunity to emerge from stealth research and development mode, and on Thursday began offering early access to the SDK for its Blue Vision AR Cloud platform. Blue Vision's take on the AR cloud relies on computer vision. The company is planning to store frequently-updated AR maps of cities on its servers, and then apps using the service can obtain location information with "centimeter precision" based on visual data from the device's camera. With such a high degree of location accuracy, app developers could conceivably anchor content that multiple users would be able to see in the same place. 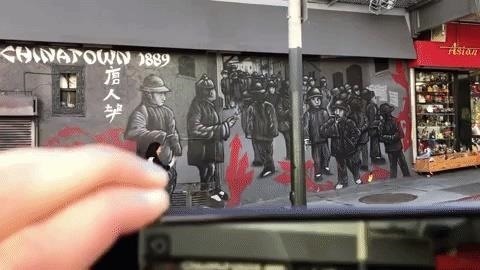 This would make multi-player gaming, AR navigation, and shared social AR experiences a lot easier. 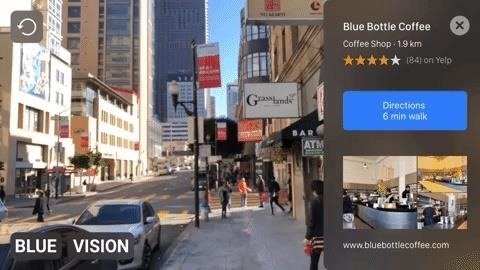 Blue Vision joins location services company Mapbox and startup 6D.ai in offering services working to facilitate multi-user AR experiences. Likewise, Pokémon GO producer Niantic also plans on offering a multi-player service for gaming via its recent acquisition of Escher Reality. Since seamless multi-user AR features likely won't make it into Apple's ARKit until 2019, these services could soon be in high demand from developers looking for a simple, turnkey method for creating more interactive, social, and collaborative AR experiences.